This week, I was lucky enough to go to Lausanne, a small Swiss city on Lac Léman, to attend the MELiSSA Workshop. What is MELiSSA? As an ecologist, it is unlikely that you are acquainted with this European Space Agency (ESA) project, which stands for Micro-Ecological Life Support System Alternative. It was created in 1989 (read more on how it began here) and brings together European and Canadian partners from 13 different countries in an attempt to fulfill human needs in outer space via the development of life in closed systems. The main ideas include: recycling waste and carbon dioxide aboard spacecraft by using bacteria; and producing food, water, and oxygen in a regenerative way to keep costs low. Put in their words, it aims “at a total conversion of the organic wastes and CO2 to oxygen, water and food”. Terrestrial lake eco-loop. Copyright: ESA. The future of environmentally-friendly farming? Our first paper on the agri-environment has just appeared in this month’s issue of PLoS Biology. This is an important piece for us as it provides a foundation for empirical work being carried out by several group members. The paper essentially makes three main points. The first is that we spend a lot more money subsidizing farming than trying to mitigate its environmental impacts. We’ve tried to plot this out below. What you can clearly see is that the purple (mitigation expenditure) is nearly invisible relative to what is spent on subsidizing farming (shown in the orange slices). Financial support to farmers from taxpayers and consumers associated with agricultural policies as a proportion of the total value of agricultural production (VoP) at the farm gate. The figure now provides what is essentially a map of the ‘perversity‘ of agricultural subsidies – showing where we spend money to do things that are often bad for the environment and costly to the economy. A first step in reducing conflict between agriculture and the natural environment would be to do away with the subsidies in orange. What have we been learning about the Cerrado? 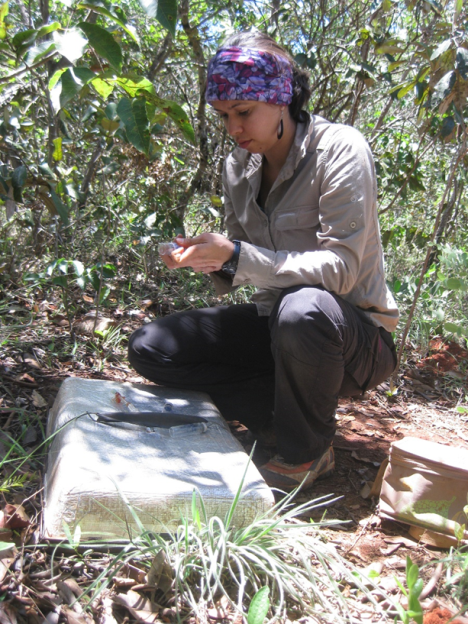 In the beginning of 2014, my adventure in the Brazilian Cerrado had just started! It’s now been a year I took the airplane to Brasília, in the heart of Brazil. 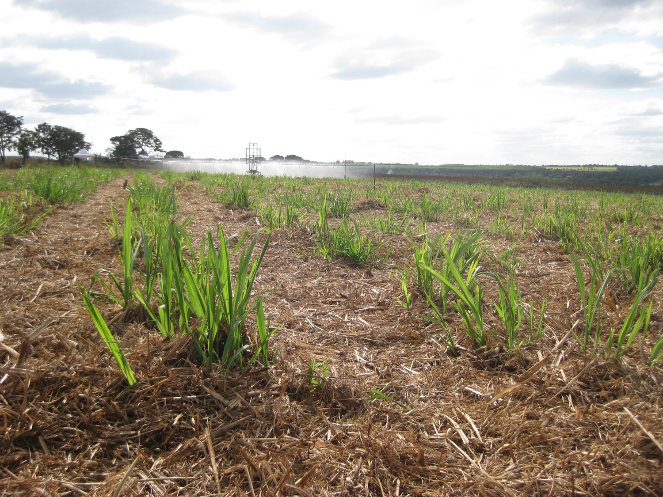 We decided to study the effects of agriculture, specifically of sugarcane crops, on the gases emissions from soils of this region. 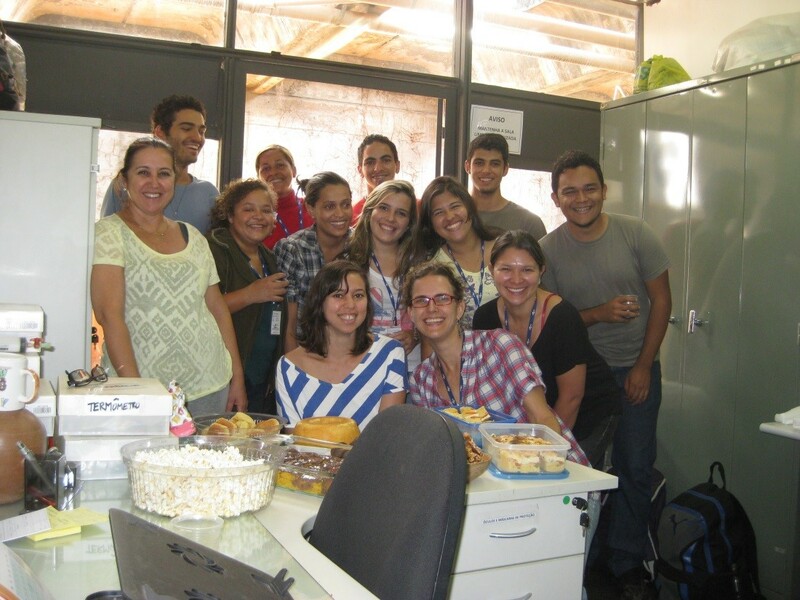 Nothing would have been possible without the collaboration with the EMBRAPA Cerrados. But why there?? 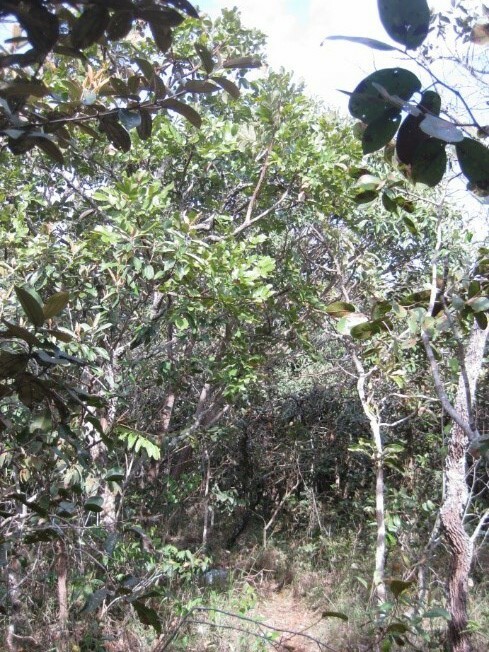 Cerrado, the richest savannah in the world and the most extensive savannah complex in the Neotropics, has been historically affected by a number of human activities. By now, it has lost half of its 2 mi km2 of native vegetation. 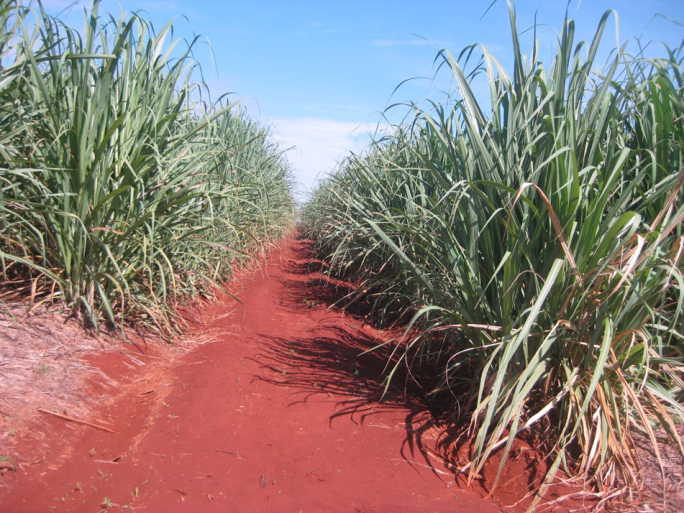 The expansion of the sugarcane fields, often used for bio-ethanol production, is one of the current threats to this biome. We are currently measuring the emissions of greenhouse gases, specifically the nitrous oxide (N2O), in response to the management of fertilisers. Our preliminary results show a large increase in the emissions from the combined treatment using nitrogen and vinasse*, that is, 450 times more than the native areas on average! 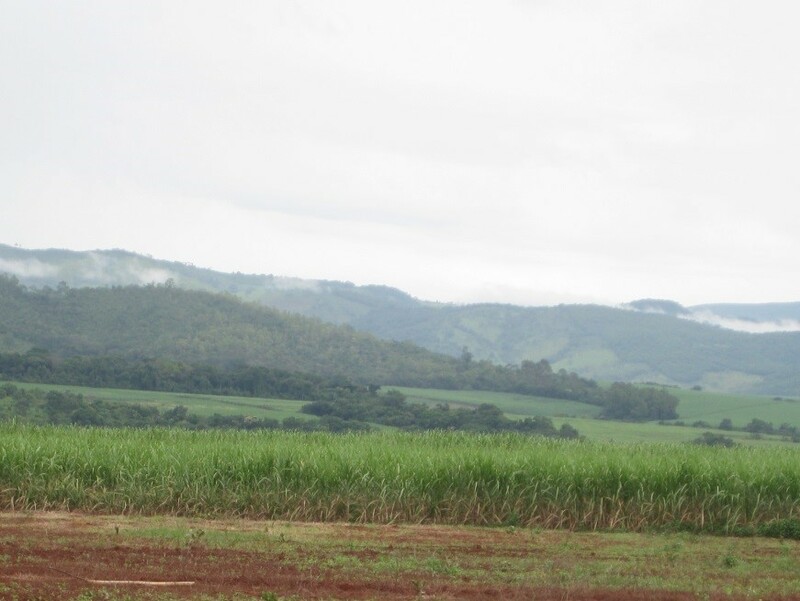 Our longer monitoring activities will be important to understand the variation on the emissions throughout the sugarcane cycle and to assess the sustainability of this crop in the region. 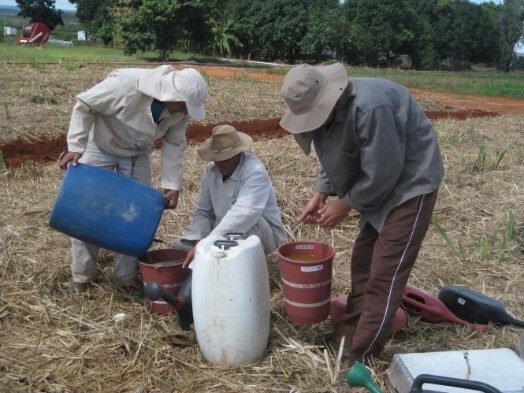 *Vinasse=a waste from the ethanol production that is re-used as fertiliser. Part of the staff in a rare relaxing time!!! Can plants get more carbon for less water? This week’s group meeting featured a special joint production with Molecular Physiology to welcome Prof Graham Farquhar from the Australian National University. Graham was in the UK to receive a Rank Prize Fund award for his contributions to food security by helping to guide the breeding of wheat varieties that use water more efficiently. His talk, “Water user efficiency and water use effectiveness, a stomatal perspective using stable isotopes” was a far-reaching overview of his amazing research career, dating back to his time as a PhD student. But he started his talk with a very provocative and timely consideration of global changes in rainfall and human population growth. Rainfall is inherently random. Sometimes there is too much, sometimes there is too little. Australia is a country that experiences both these extremes. For example, there are often heavy floods in the monsoon region while other areas, particularly where agriculture is concentrated in the southern part of the country, is drying up. The desire to expand cultivated land inevitably means there is more pressure on more marginal rainfall. An astounding statistic that Graham rolled off was that 1 ha of cultivated land was needed to feed 20 people. 20 people are added to the world’s population about every second! Clearly, that’s a problem. Graham’s talk then focused on how plants can use the least amount of water for a fixed amount of carbon. He began by introducing his classic work on stomatal regulation of transpiration relative to carbon assimilation, which shows the two processes are fundamentally linked. Changing evaporation will always change assimilation. He then considered how plants could arrange the temporal expenditure of water to maximize assimilation of CO2. Carbon isotopes are particularly useful here for discriminating among transpiration efficiencies associated with different genotypes and can help identify future crop varieties that use water more efficiently. In dry conditions, greater transpiration efficiency improves crop yield and selects for low C isotope discrimination in leaf dry mater. As we ran out of time, we were left with questions about how the process of balancing carbon and water demands might be influenced by life history strategy (perennial versus annual) and competition for water in soil.